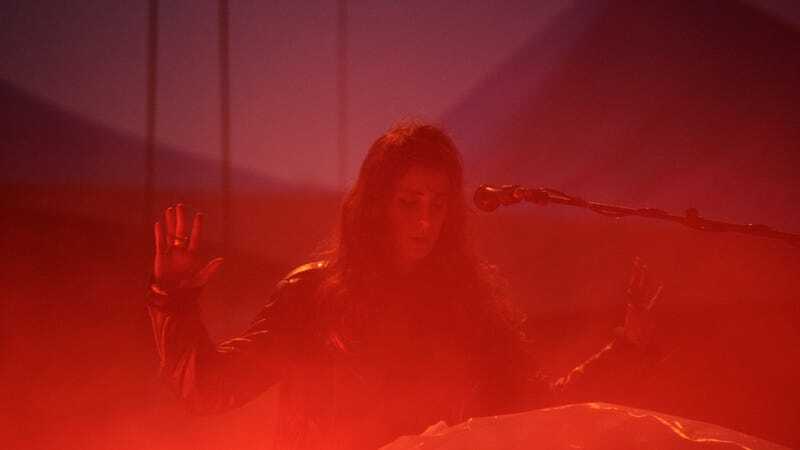 Over the course of six albums, Beach House have been defined by their consistency, mining a seemingly endless vein of swooning, melancholy pop music. There have been a lot of bands inspired by Twin Peaks’ narcotic teen-pop aesthetic over the years, but the duo of Victoria Legrand and Alex Scally seem uniquely tapped into it, conjured musically via a blend of funereal organs, foggy vocals, and dreamily perfect drums. The new “Lemon Glow,” from an as-yet-untitled record due out this spring, sits firmly in their established style, but adds in an insistent synthesizer line and an almost shockingly percussive climax. It still sounds like Beach House, but they’re finding ways to keep things fresh.